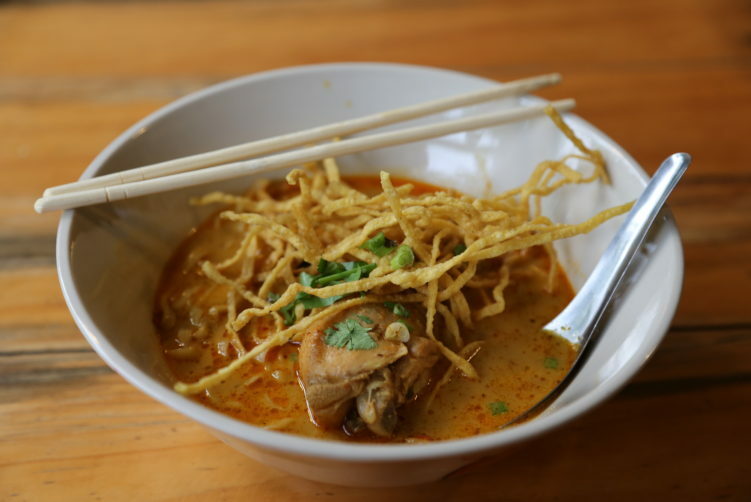 Daradalay has been a favorite for Khao Soi a long time for those knowing the spot. They only use organic ingredients planted in their own backyard. Daradalay is one of those spots you don’t need to spell it all out when it comes to taste. It all comes together to a big party for your taste buds. A must visit in Bangkok. The bowl put in front of you is just delicious, with a good balance between coconut milk and a rich chicken broth. It’s not fatty and has a distinct and focused taste. Some Khao Soi spots, especially in Bangkok, serves you a far to creamy bowl, but not at Daradalay. They just hand over a perfectly balanced bowl. The mustard greens are very good, so are the noodles. The drumstick is juicy and flavorful, but this time with a texture that was very close to being mushy. That said, it didn’t step over the red line. I came very late to eat here this time and I can guarantee that they will make sure not to serve you a drum stick that has passed the red line to mushiness. The portions are smaller than the others and the price is 50 Bath. But when it comes to taste. I gladly pay double. 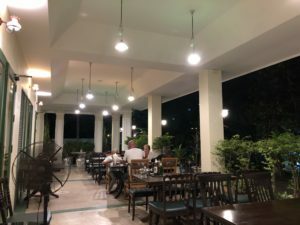 They have a table with different greens from where you can practice your self-service without paying more, mostly for their other dishes, but you also find some add-ons for your Khao Soi gai (chicken). The setting at Daradaly gives you an almost country side kind of felling in a quiet neighborhood. The staff are also amicable, but be aware that they don’t really speak a lot of english. But you really don’t need that to order a bowl of Khao Soi. I also suggest you to try their Nam Ngiew. There are by the way plenty of other excellent eateries nearby. See my reviews from the Ratchawat and Sri Yan area. 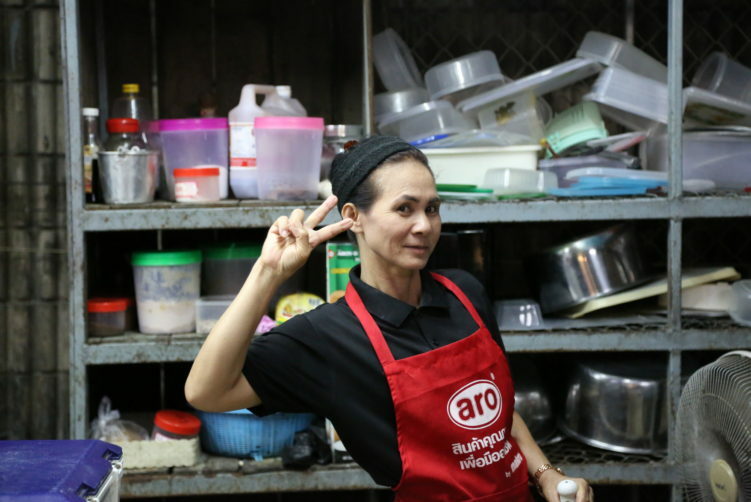 Don’t forget to try Krua O.V. 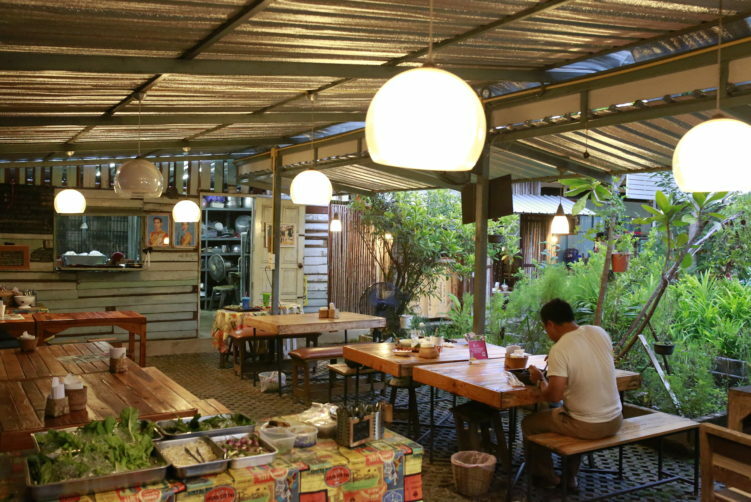 if you’re in for excellent green curry and khanom jeen noodles. 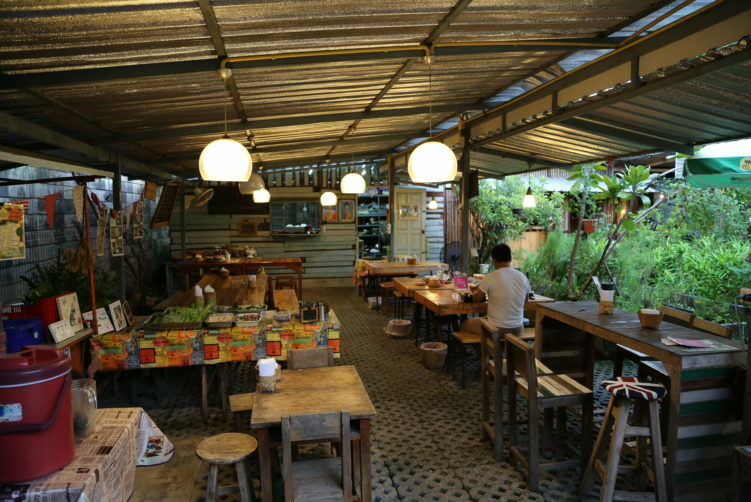 https://globaldevincubator.org/privacy-and-legal/ click here Food: Northern Thai Food. Must tries are Khao Soi gai and Nam Ngiew. Other dishes are good as well. How to get there: You find them in the Ratchawat area. In other words no BTS or MRT in the neighborhood. The easyest way is to take the Chao Phraya Express Boat to Payap Pear (14 bath) and then get a motorbike taxi from there. It will take about 5-7 minutes. Walkers have to do 2,5-3 km from the pier. Daradalay has been a favorite for Khao Soi a long time for those knowing the spot. They only use organic ingredients planted in their own backyard. Daradalay is one of those spots you don't need to spell it all out when it comes to taste. It all comes together to a big party for your taste buds. A must visit in Bangkok. See full review at StreetsideBangkok.